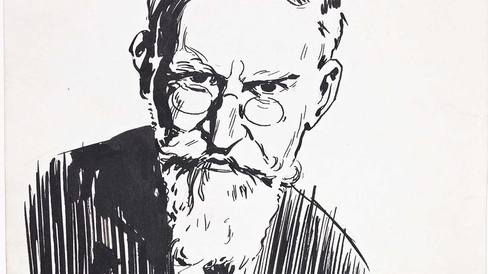 George Bernard Shaw (1856-1950) was born in Dublin, the son of a civil servant. His education was irregular, due to his dislike of any organized training. After moving to London as a young man, he established himself as a leading music and theatre critic in the 1880's and 1890's and became a prominent member of the Fabian Society. He began his literary career as a novelist; as a fervent advocate of the new theatre of Ibsen, he decided to write plays in order to illustrate his criticism of the English stage. Some of his most famous works inlcude Plays Pleasant and Unpleasant (1898). Man and Superman (1903), Back to Methuselah (1921), Saint Joan (1923), Major Barbara (1905), and Pygmalion (1912). It is a combination of the dramatic, the comic, and the social corrective that gives Shaw's comedies their special flavour. George Bernard Shaw’s legacy is explored in depth in this programme, with extracts of his writings. Contributors including Roy Hattersley (MP), Michael Holroyd (Biographer), Declan Kiberd (Lecturer) and Carol Coulter (Journalist) explore Shaw’s life, personal relationships, politics, wit and work. First broadcast: July 31st 1991 on RTÉ Radio 1. An Irish radio documentary from RTÉ Radio 1, Ireland - Documentary on One - the home of Irish radio documentaries.